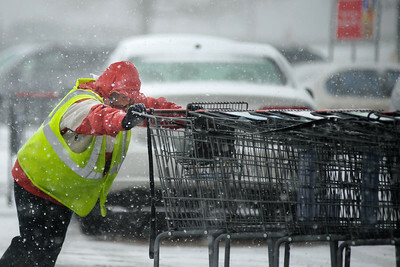 Daniel J. Murphy - dmurphy@shawmedia.com Amy Rishleng of Wonder Lake pushes grocery carts in the blowing snow at Jewel Osco Friday February 10, 2012 in Cary. 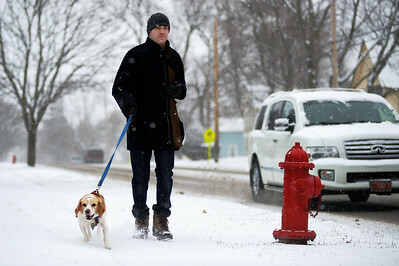 Daniel J. Murphy - dmurphy@shawmedia.com Matt Vuller of Crystal Lake walks his dog Buddy Friday February 10, 2012 in Cary. Daniel J. Murphy - dmurphy@shawmedia.com The Crystal Lake Fire Rescue Department performs a training exercise in an abandoned home on Elmhurst Street Friday February 10, 2012 in Crystal Lake. 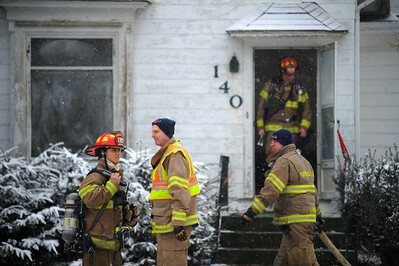 The Crystal Lake Fire Rescue Department performs a training exercise in an abandoned home on Elmhurst Street Friday February 10, 2012 in Crystal Lake.